Home > Who We Help > Inattentive ADD > Reading Issue or ADD? The difference between a difficulty with reading and ADD may seem obvious, but it’s not. Many children exhibit signs of both. Are they connected or does one cause the other? Is my child’s ADD making it hard to read? Or is difficulty with reading making it hard for my child to focus? The odds favor the latter. Most likely it’s a reading problem. Learning to decode is challenging. And so difficulty learning to read and ADD (or ADHD-PI) are often found together. Similarly, the demands of reading comprehension starting in 3rd grade are challenging. And so weak reading comprehension and ADD are often found together. In both cases, the frustration, the humiliation and the sheer energy required can lead to avoidance behaviors and inattentiveness that looks like ADD. Identifying the right scenario above is an important distinction to make. A reading problem is easier to help than a deep-seated attention deficit. 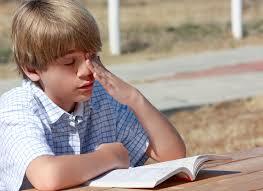 Most reading difficulties are caused by phonological processing and related cognitive delays. The solution to the ADD lies in exercising these cognitive skill gaps to make reading easier. If you can make reading easier, it will be more engaging and so ADD symptoms should recede. Reading comprehension is a complex task. It involves decoding text, deriving meaning and then connecting to prior knowledge and experience. There is no getting around the fact that reading requires instruction. If not around decoding, which can come naturally, then at least around vocabulary, grammar, language syntax, etc. This in turns required attentiveness from students. Consequently, many children with ADD find learning to read a long and painful process. A child with ADD may be a natural reader, picking up decoding, spelling rules and language structure naturally. However, ADD can still undermine reading, as reading comprehension requires strong selective attention skills. To differentiate ADHD and reading problems, look at reading fluency, reading speed. If a child can read with 6th grade fluency and reading comprehension is weak, then ADD is possible. The reason is that 6th grade fluency requires automaticity in decoding — the mind should be free to concentrate fully on reading comprehension. If that is not happening, and comprehension is not improving, then the inattentiveness is probably not reading related. Reading comprehension problems or a lack of reading stamina are often on a list of ADD symptoms because reading requires selective attention, the ability to engage. That does not mean, though, that children with reading issues are at-risk for ADD. The more common cause and effect of reading and ADD is that phonological awareness difficulties are undermining reading skills, creating a reluctance to read. Often, teachers and/or parents interpret this reluctance as a sign of attention deficit disorder. These same processing difficulties undermine listening comprehension in class and at home, often also causing inattentive and therefore further encouraging a misdiagnosis of ADD. In younger ages, if sounding out words to a teacher or parent, decoding, is somewhere between a struggle and downright embarrassing, children will drift off or act up to try to change the subject. It is human nature to avoid what is overly difficult or humiliating. If reading is not automatic and a child has to concentrate sounds words out, there is limited mind space available for comprehension. Decoding the text takes a large effort. And the extra effort to extract meaning while decoding is downright exhausting. Having to reread pages becomes the norm, and tuning out is inevitable. And so, ADD and reading comprehension difficulties often go together. In older children and adults, weak reading comprehension skills often results in missing the more interesting and nuanced inferences and themes in a text. Without that interesting context, reading can be a chore. Detailed questions that require deep understanding become problematic. An inability to “read” a passage with ease to the degree required to visualize the story in pictures, i.e., reading comprehension, is the impediment. This is far more likely to be a problem with reading and ADD is a symptom, not a contributing cause. Highly intelligent children with ADD tend to use their smarts to look for reading shortcuts, thereby hiding their reading problems. One common reading strategy is to simply start memorizing words — they skip the breaking words down into phonemes and then sounding out phase. This is a dead-end approach to reading that can mask a reading problem for several years. Eventually though, their reading delays will become more obvious because the word list will outgrow their memory capacity. Many children with apparent ADHD run into reading problems in 3rd, 4th or 5th grade because at this level, their reading difficulty is obvious to all. Another way to separate a reading problem from ADD is when early reading momentum slows down. Children who cannot attain success by memorization often declare that they no longer like to read to protect against criticism of their reading skills. As we note above, many ADD issues are actually reading problems and that is where you should start. Gemm Learning provides Fast ForWord to treat the underlying causes of reading difficulty, including building the required selective attention skills not developed in the struggling or reluctant reader. Fast ForWord reading software builds the cognitive foundation for reading, so called MAPS — memory, attention, processing and sequencing — and then moves on to vocabulary, spelling, language structure, reading comprehension and critical thinking. 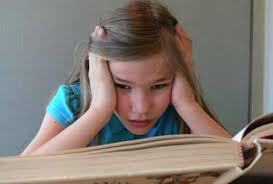 Where the source of a reading difficulty is ADD, you will most often observe other symptoms of inattentiveness or hyperactivity away from reading or academic activity. However, where there is inattentiveness, our cognitive software can make a significant difference. If you are not sure how to distinguish between a difficulty in reading and add, call one of our specialists for a free consult.